A high quality professional Scissors. Easy to adjust tension tuning screw. 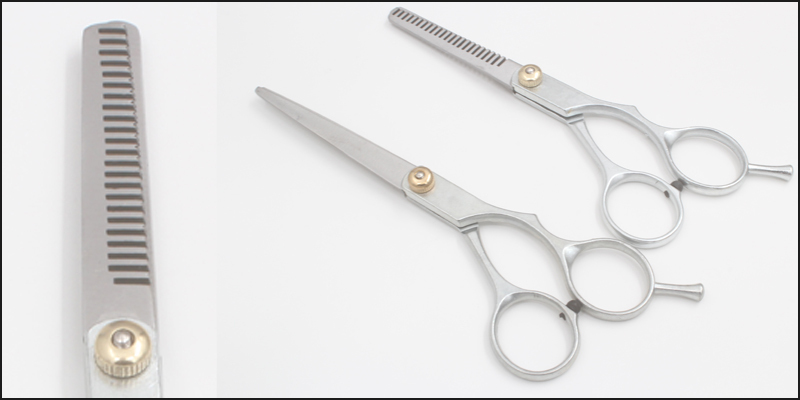 Scissor is great for salon workers, barbers, and personal usage as well. Clean cut which will not harm or split hair ends. Suitable for both wet & dry hair. Rigid to guarantee straight cuts. Designed to cut hair effortlessly and evenly without causing any suffering to the hands and fingers. Ergonomic hold ring and finger inserts give an exact balance. Extra-long cutting performance and protects against nickel allergies. Razor edge blades perfect for all cutting techniques. Scissor is secure and simple to use on men, women, the elderly, children, and babies. With a sleek stainless steel surface, scissor reduces messy hair clutters as no hair gets trapped in between its blades. Deep freezing process gives longer lasting cutting performance. Slim outline design and lightweight. Prevent strain whilst while working with these scissors for long interval of time.